Whole neighbourhoods in Syria’s Eastern Ghouta region outside Damascus have been flattened and thousands of families displaced, amid a government assault to retake it from rebels. 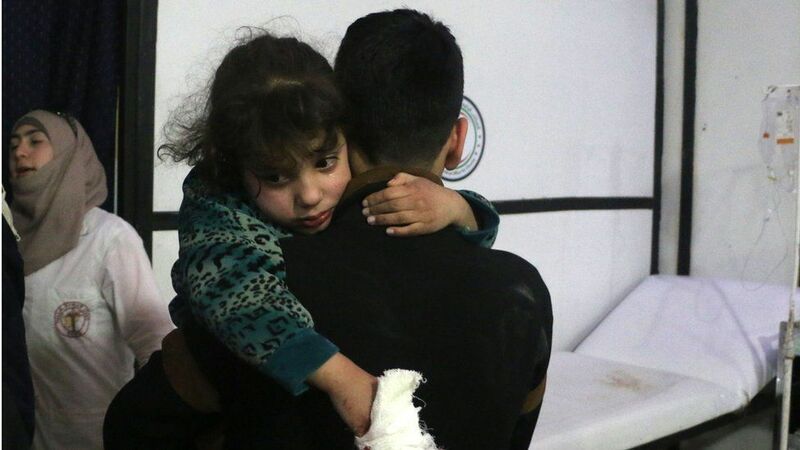 Daily “humanitarian pauses” – ordered by the government’s ally, Russia – have failed to stop the bloodshed in the enclave, where hospitals, schools and shops have been pounded by air and artillery strikes. The population is living in “hell on earth”, UN Secretary General António Guterres has said. 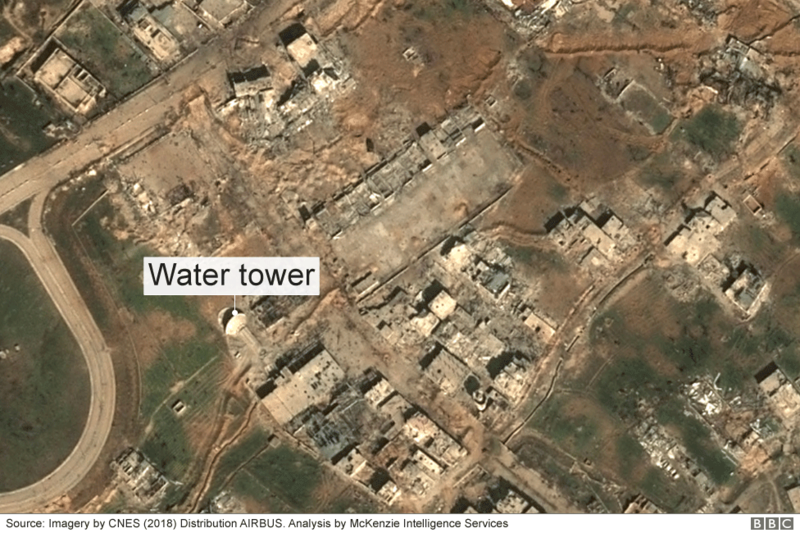 The enclave – the size of Manchester in the UK – has been besieged since 2013, but the humanitarian situation has worsened significantly since hostilities between government and rebel forces escalated last November. continuing attacks during the five-hour “pauses” that began on Tuesday. So far, no civilians have used the “humanitarian corridor” designated by Russia to leave the Eastern Ghouta. UN agencies and their partners have meanwhile said it has been impossible to deliver urgently needed humanitarian supplies under the circumstances. 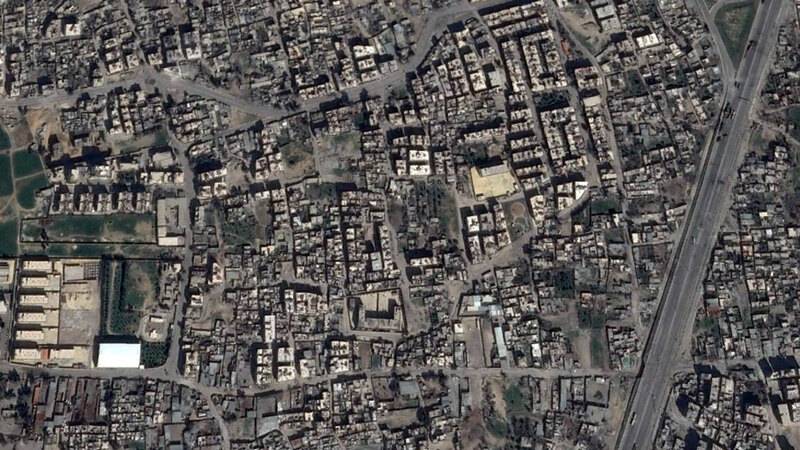 A doctor working in the area described the situation as “catastrophic”, with civilians left with no food, no medicine and no shelter. A sharp increase in shelling and air strikes forced Ein Tarma’s residents and displaced families to flee to other areas of the Eastern Ghouta. A total of 71% of the area’s buildings had been damaged or destroyed by December. More than 75% of the pre-conflict civilian population has fled. 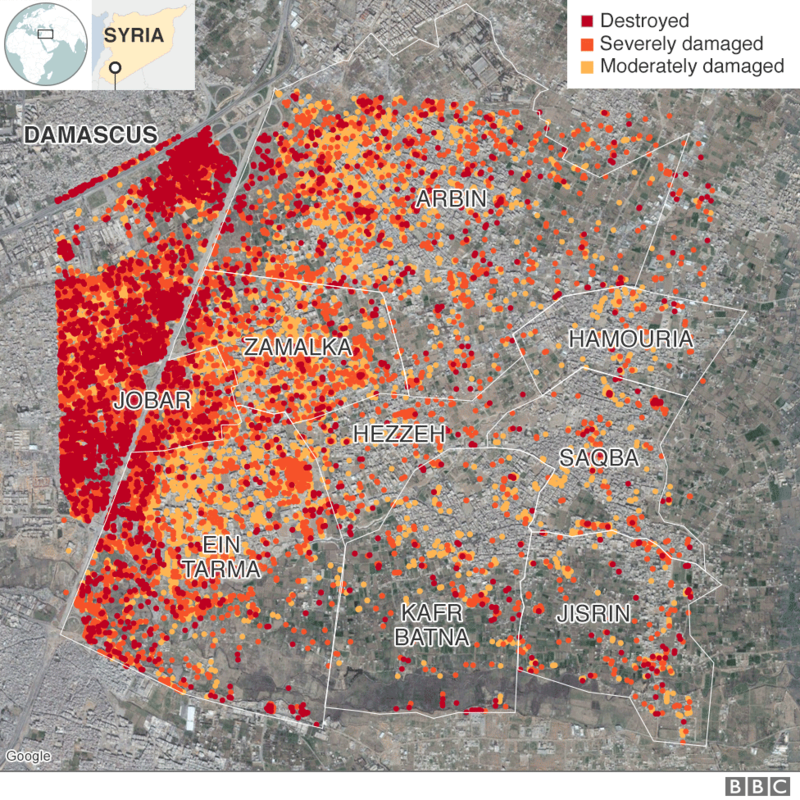 Due to Hamouria‘s more central location within the Eastern Ghouta, the amount of damage assessed in December was lower than other areas. Some 11% of buildings had been damaged or destroyed. “The clinics department is out of service, the clinical care unit is out, the surgery unit is out, the incubator unit is out, the paediatric section is out, all of the departments of the hospital are completely out of service,” a man identified as a medical worker said. Much of Hamouria’s population has fled and and almost half of the current residents are from elsewhere. Water and electricity have been unavailable since June 2016. 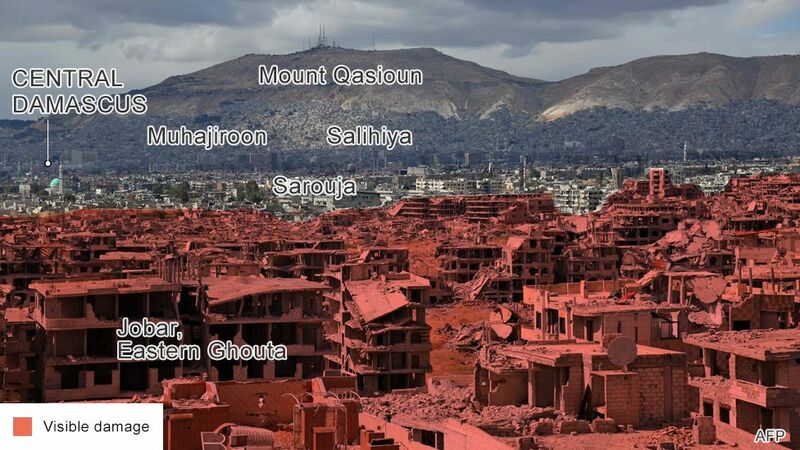 Douma – the biggest town in the district – was not included in the UN’s damage assessments in December. However, it has been hit badly in the latest round of air and artillery strikes. Aid workers have described how thousands of families are now living in underground basements and shelters – many without water, sanitation or ventilation systems, making children vulnerable to the spread of disease. A bundle of bread cost close to 22 times the national average, and 11.9% of children under five years old are acutely malnourished – the highest rate recorded in Syria since the beginning of the war. The Syrian government has denied targeting civilians and insisted it is trying to liberate the Eastern Ghouta from “terrorists” – a term it has used to describe both jihadist militants and the mainstream rebel groups that dominate the enclave.